cavan-teampall-chellaigh -- Erected by | PETER REILLY | Little River Kansas U.S.A. | In Memory of His Beloved Father | MICHAEL | Who Died Ma__ 1868 (?) Aged __? Years | Also His Mother JUDITH Died ___? | Aged __ Years | Also Their Children ??? 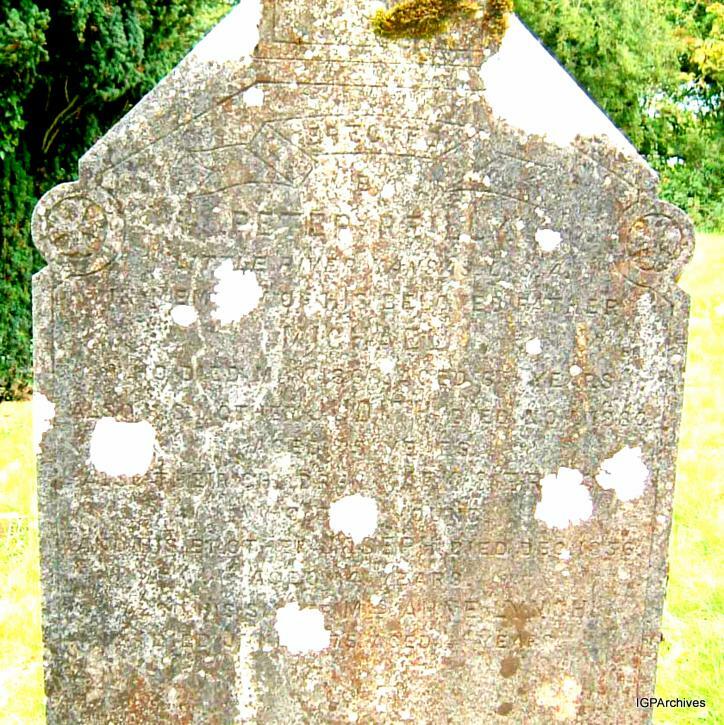 | illegible | His Brother JOSEPH Died Dec 1836 | Aged ?4 Years | His Sister Mrs ANNE LYNCH | Died __75 Aged __? Years.